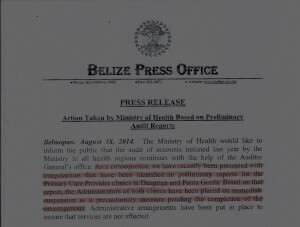 The public health system is once again under intense scrutiny, following the suspension of a pair of administrators from the Primary Care Provider Clinics in Dangriga and Punta Gorda, respectively. Harry Sabal and Kayla Hoare have both been temporarily removed from their posts after it was discovered that there are financial irregularities at their individual polyclinics. 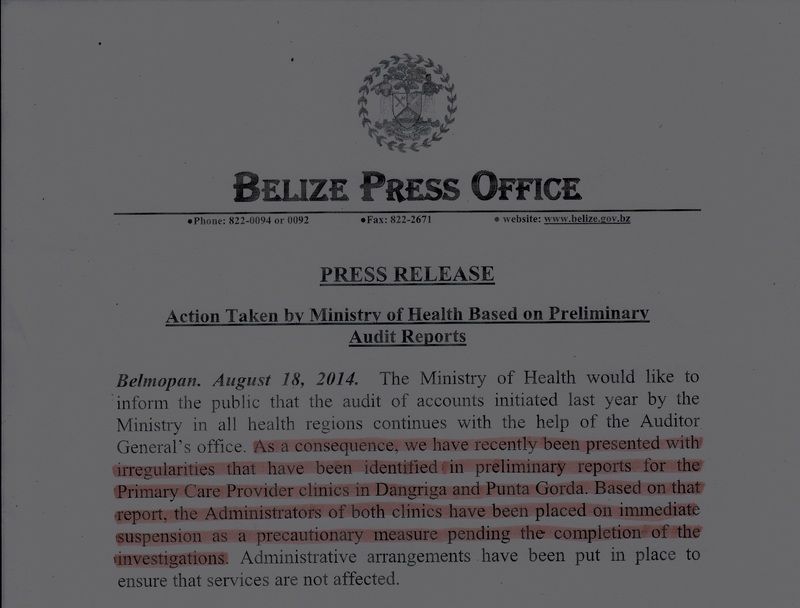 Earlier today, the Ministry of Health issued a release in which it states that the findings are the result of an ongoing review being carried out by the Auditor General’s Office. 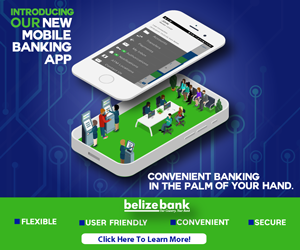 While the ministry takes the allegations very seriously, it is allowing the investigation to be completed, before allowing Sabal and Hoare an opportunity to respond to the charges against them. Meanwhile, arrangements are in order to safeguard the services of both facilities. Damm this whole gov is corrupt nothing but thieves by the time this gov is through this country will be totally broke people unu Betta wake up all the people in this god. Are thieves they are bleeding this country dry while this useless incompetent impotent pm vacations again .